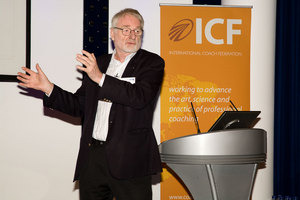 Sir John Whitmore’s call to action to the coaching profession at the International Coach Federation’s (ICF) recent Make A Difference Day at London’s BT Centre, left them in no doubt on what their role should be in the global economic and environmental crises and beyond. In his provocative keynote speech, entrepreneur and coaching leader Sir John (above) told the audience of more than 170 professional coaches they were uniquely placed to use their professional skills to force change, likening them to the “midwives at the birth of responsible society”. 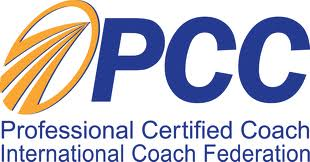 After Sir John’s speech, which was webcast live to ICF chapters worldwide, delegates joined a series of work streams to develop practical ways for coaches to use their professional skills for the benefit of the wider community. The call to coaches to drive change in society struck a chord with Helen Caton Hughes of the Forton Group, co-sponsors of the event, which coaches leaders at all levels from the boardroom to the shop floor. “Leadership is not just about personal, professional and team success. It’s every leader at every level in society to make a difference locally and globally,” she said.